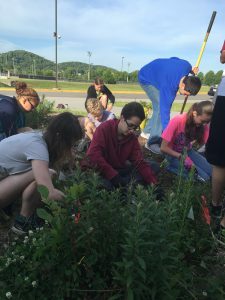 The Watershed Lessons Program is dedicated to inspiring kids and adults to become lifelong learners and watershed stewards in Oak Ridge. In the process, students acquire knowledge and skills, build relationships, solve problems, overcome obstacles, make decisions, and take action. There is no age limit or barriers to lifelong learning. Watershed Lessons and Activities: The program incorporates watershed lessons that are tailored to suit the specific audience. Each lesson is unique and consists of a short presentation followed by a fun, hands-on activity. Some of the topics include: introduction to your watershed, stream health, how to identify bugs in streams, best management practices for homeowners, how land use affects the ecosystem, stream chemistry, pollution, mapping, and of course – stormwater! Each lesson lasts approximately 45 minutes to 1 hour. You can sign up for as many or as few lessons that fit your organization or school. Multi- and Interdisciplinary Approach: In the past, we have taught at schools, but we are opening the doors to encourage anyone from any organization to become watershed stewards. Groups that we have worked with in the past include: the Girl Scouts of America, Girls Inc., LEGO League and Oak Ridge High School. Of course, teachers will always be highly encouraged to use our program, and teachers of multiple disciplines — biology, chemistry, ecology, social studies, and history, to name a few – independently or jointly can use these lessons. Watersheds know no boundaries between disciplines and organizations. Hands-On Curricula: Curricula are created from the national Adopt-A-Watershed program, Project WET, Project Wild and the TVA Water Quality Monitoring Network. Their implementation provides valuable baseline knowledge and skills. 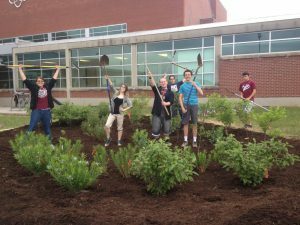 Community Projects: In addition, there are optional community projects for your group to participate in like stream clean ups, tree plantings, invasive plant removals, or brainstorm your own project and we will help you achieve your vision! The Watershed Lessons Program has been possible through the work of the two CAC AmeriCorps members we host each year. This year’s two member team are college graduates that have majored in a science field. Each of these highly motivated individuals have made a conscious decision to dedicate a year of their lives to educating and involving citizens of Oak Ridge in the protection and enhancement of their local watersheds. To schedule a lesson with the Healthy Waters Program, please contact us here.